PROVEN SYSTEM The Dust A Side technology integrates road stabilization and dust suppression in a single service. 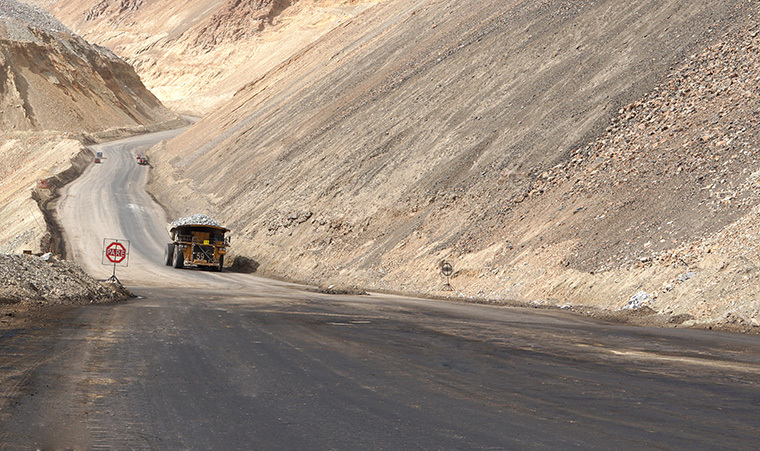 It is applicable in all weather conditions, protecting the roads from erosion and deterioration which comes with the traffic of light vehicles, of transport and mining production. OPERATIONAL SAFETY A surface with Dust A Side is safe, is not hygroscopic, nor soluble in water, is adherent for a better traction and water proof. Other products are washed, drained and/or become dangerously soapy/slippery, allowing polluting agents to go through the inferior base of the road, being highly corrosive, damaging equipment and affecting the environment and living beings, by changing the salinity or pH of the water. HARMLESS PRODUCTS The implementation and management of the Dust A Side products are not a risk for people’s health, the environment, nor water supplies and agriculture. All the products have been certified by recognized local laboratories (IDIEM of the University of Chile and CESMEC). The emulsifiers, which are manufactured for Dust-A-Side are organic and vegetables, which allow the powder to adhere and becomes part of the road, achieving due to the bituminous component, a strong permanent surface. The Dust A Side products, do not represent a risk for people’s health or for the environment.